It has never been as dangerous to be a human rights lawyer in Turkey as it is now. So says Güray Dağ, a member of the Progressive Lawyers’ Association (ÇHD): the 2,500 Turkish lawyers who routinely take on the country’s highest-profile cases against police brutality, hate crimes, civil rights violations and baseless arrests. Twelve of their members, including the head of the association, the head of its Istanbul branch, and several other ÇHD executives, were arrested on Jan. 18 in an anti-terror operation that brought 85 people into custody. 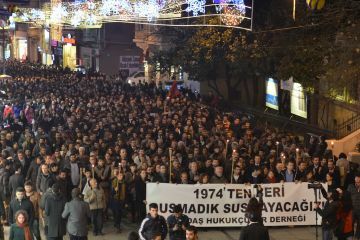 The police detained leftists of all stripes — students, teachers, community activists, musicians, journalists, and lawyers — on charges of belonging to the Revolutionary Peoples’ Liberation Party-Front (DHKP-C), a militant Marxist group aiming to overthrow the Turkish government. Thirty of the detained, including Dağ and two other ÇHD lawyers, were released following interrogations, but the others expect to wait at least six months in custody for their first hearing. Police and prosecutors have touted the operation as one of Turkey’s strongest blows at the DHKP-C’s secret collaborators yet. But to local critics and international human rights organizations, the case is a new low in the Turkish government’s arbitrary wielding of anti-terror laws against political dissidents. 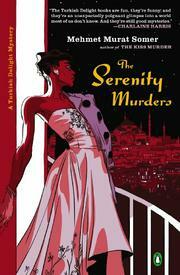 The Serenity Murders is a quintessentially Istanbul story. It’s hard to imagine another city in the world that could plausibly host the array of characters and events of Mehmet Murat Somer’s latest installment in the Turkish Delight mystery series. From the square-jawed police officer who transforms into a glitzy diva inside a nightclub to the traditional older parents oblivious to their son’s relationship with another man, from the kooky fortune-tellers and mafiosos thinly disguised as textile manufacturers to the club-owning, computer-hacking, mystery-solving transvestite heroine who tells the story, The Serenity Murders embeds readers in Istanbul from the start and never lets them forget which city they’re in. The action begins when Burçak Veral, the narrator, appears on a talk show and receives an on-air call from a man threatening to kill someone close to Veral each week until she finds him. Veral quickly realizes that the murderous caller knows her intimately, tracking her life and movements far too closely for comfort.